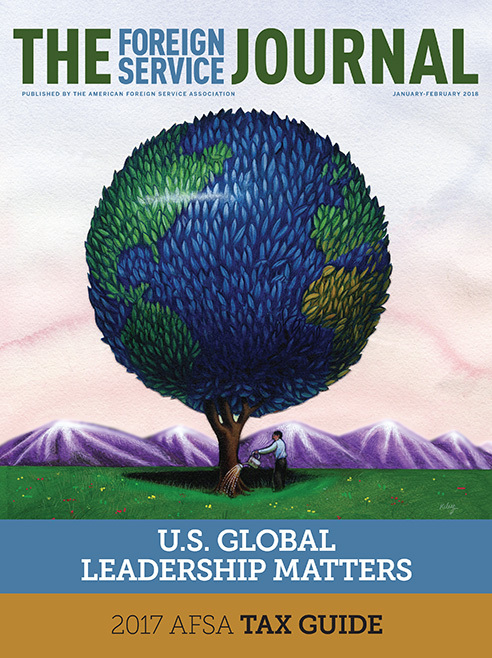 The January/February issue focuses on U.S. global leadership. On the eve of its 70th anniversary, the Marshall Plan remains one of the most successful foreign policy initiatives in U.S. history and a model of effective diplomacy. The U.S. role in helping Ghana stave off a deadly epidemic showcases American diplomats’ perseverance, political astuteness and creativity, as well as interagency teamwork, in fulfilling a vital mission. The 74-member international coalition illustrates American leadership in action. Here are more stories about the day-to-day work U.S. diplomats do around the globe to advance American ideals, protect America’s prosperity and national security, and help maintain a peaceful world. American leadership today will be defined by our grasp of future trends. The under secretary of State for political affairs reflects on diplomacy for the 21st century. BY THOMAS A. SHANNON JR.